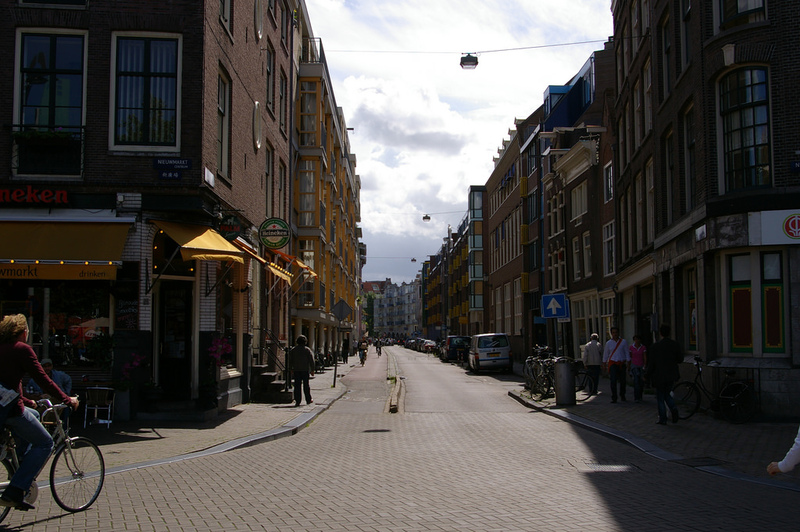 A view of the former Jewish district of Amsterdam. The number of incidents involving anti-Semitic vandalism recorded in the Netherlands last year increased by 40%, to a 10-year high of 28 cases, according to a new report released by the Dutch Centre for Information and Documentation on Israel. The report, which was published on March 10, also noted that the increase in vandalism was part of a small overall rise in anti-Semitic incidents in 2017 over 2016. It recorded 113 incidents in 2017 compared to 109 in 2016. As reported by Haaretz online, the data was published amid unprecedented developments in public debate on anti-Semitism in the Netherlands. This month, almost all of the political parties contending in the municipal elections in Amsterdam signed a document vowing tougher action against anti-Semitism. According to the report, there were four incidents in 2017 that involved physical violence. In one case, two Israelis were stabbed in an elevator on July 18 in a suburb of Amsterdam. Another incident, dated 26 June, involved a Jew of Syrian descent who was assaulted on Amsterdam’s Dam Square for wearing a Star of David pendant. According to the Dutch Centre for Information and Documentation on Israel, the judiciary needs to impose heavier sentences on offenders to increase deterrence. It also recommended the Dutch government and judiciary adopt the European Parliament’s definition of anti-Semitism.